Our experienced and dedicated licensed funeral directors will assist you and your family through a difficult time. You will be guided through all aspects of the service and we will make sure every detail is taken care of. 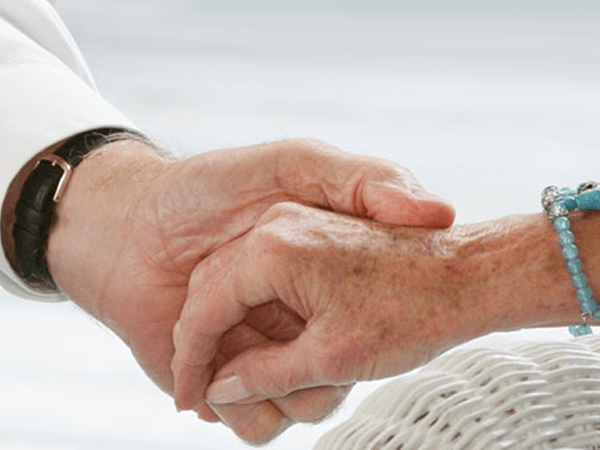 Our caring and professional support staff will assist you throughout the service. 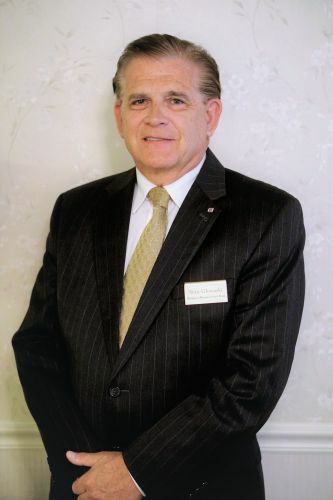 Timothy Marodi became a licensed funeral director in 1986 and joined the Thompson-Marodi Funeral Home in 1991. A native of Marianna, Pennsylvania, he graduated in 1981 from Bethlehem Center High School, attended California University of Pennsylvania and graduated from the Pittsburgh Institute of Mortuary Science in 1984. He is a member of the Saint Katharine Drexel Parish, Bentleyville Knights of Columbus Council 5826 and Bentleyville Lions Club. 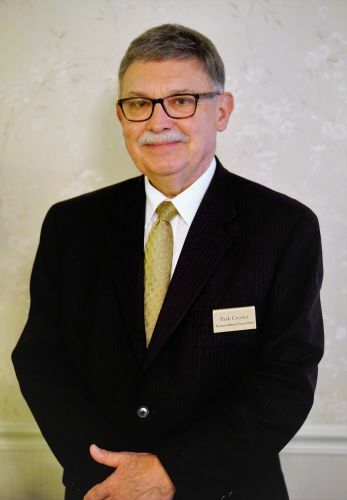 He is also a member of the Southwestern Pennsylvania Funeral Directors Association, Pennsylvania Funeral Directors Association and the National Funeral Directors Association. Randi Ross Marodi was raised in Clarksville, Pennsylvania and graduated from Jefferson-Morgan High School in 1983. In 1987, she graduated from Indiana University of Pennsylvania, where she earned a degree in journalism. She was a staff writer for the Washington Observer-Reporter and is currently the administrative assistant to Washington County Commissioner Harlan G. Shober, Jr. She is a member of Saint Katharine Drexel Parish and secretary of the Catholic Daughters of the Americas Court Dolores No. 1675. She is a founding member of the Bentleyville Area Historical Society, where she currently serves as vice president. Randi served on the Clarksville Centennial Committee and the Bentleyville Bicentennial Committee and helped produce books for both celebrations. She was the assistant leader of Girl Scout Troop No. 54138 of Bentleyville and secretary of Bentworth High School’s Patrons of the Creative Arts. Park Croiser of Canonsburg is a licensed funeral director, who joined the staff of the Thompson-Marodi Funeral Home in 2012. He graduated from Alderson Broaddus College in Philippi, West Virginia in 1970 and from the Pittsburgh Institute of Mortuary Science in 1971. He is a Presbyterian and a member of the Masonic Lodge No. 337 in Monongahela. He is a member of the Southwestern Pennsylvania Funeral Directors Association. Stanley Glowaski is a native of Republic, Pennsylvania and he lives in Bentleyville with his wife Anna Marie Damich Glowaski. He is a graduate of California University of Pennsylvania and a retired teacher who worked in the Peter Township School District. Stan is a member of the Saint Katharine Drexel Parish and a member of the Bentleyville Knights of Columbus Council 5826. He is President of the Bentleyville Borough Council. He joined our staff in July 2008. Joe and Marian Carroll Lese are retired and reside in Bentleyville. They are responsible for maintenance and housekeeping. John Jones is a native of Bentleyville, where he lives with his wife Carol Milchovich Jones. They are members of St. Katharine Drexel Parish and John is a member of the Bentleyville Volunteer Fire Department. He has a full-time day job and assists at the funeral home in the evenings and weekends. Abigail Marodi is a 2013 graduate of Bentworth High School and a 2017 graduate of the University of Pittsburgh, where she earned a degree in Communication Science and Disorders. She is currently attending graduate school at James Madison University in Harrisonburg, Virginia, where she is studying Speech-Language Pathology. While at the University of Pittsburgh she was the president of the National Student Speech Language and Hearing Association and volunteer coordinator for Autism Speaks U. She is a member of Saint Katharine Drexel Parish. When not in college, she assists with various duties around the funeral home. Katherine Marodi is a 2016 graduate of Bentworth High School. While in high school she was a member of the marching band and a member of Girl Scout Troop 54138. She is currently studying Communications Media at Indiana University of Pennsylvania, where she is in the marching band’s color guard. She is a member of Saint Katharine Drexel Parish, where she served as an altar server. Kate is interested in photography and videography and her work is featured on the funeral home’s website, advertising and publications.